Nuevo Vallarta is mainstream, Bucerías is artistic and Sayulita is hippie chic—these are the “3 faces of the Riviera Nayarit,” which the inflight magazine details in its August issue with a circulation of more than 28 thousand. 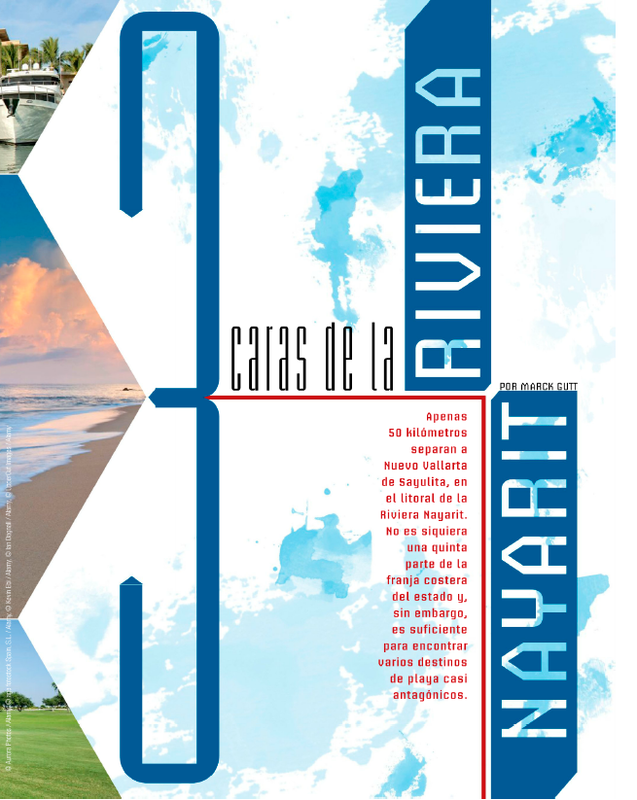 The inflight magazine for Volaris airlines, V de Volaris, included in its August issue an eight-page long article with a dynamic proposal for its clients to visit the Riviera Nayarit. This article was generated thanks to the work and attention given to the media by the Riviera Nayarit Convention and Visitors Bureau (CVB); in this case, to the North American press. The article—“Las 3 caras de la Riviera Nayarit,” (“The 3 Faces of the Riviera Nayarit”)—was written by journalist Rosa Calderón. In it she creates an analogy between the more mainstream Nuevo Vallarta, the artistic Bucerías and the hippie-chic Sayulita. “Like sisters who can’t belie their physical resemblance but who you can’t get to sit at the same table, the beaches of Nayarit share the best of their surroundings (the sun, the warm ocean, the spectacular sunsets and the sea turtles) but everything else seems to have been inherited from entirely different families,” writes the journalist. The writer became interested in the destination thanks to the articles published by Huffington Post and Frommer’s in January, which placed the Riviera Nayarit at the top of the list of places to visit in 2014. “Nuevo Vallarta and Sayulita are separated by a mere 50 kilometers along the shores of the Riviera Nayarit. The distance is not even a fifth of the state’s coastline; however, it’s enough for one to encounter beach destinations that are nearly opposite in character,” she continues. Volaris is the second-largest airline in Mexico, covering the entire country and has flights to and from the United States. The magazine is bi-monthly and is published in Spanish, with a circulation of over 28 thousand issues. Click the link to download the article in its entirety: shttps://www.hightail.com/download/ZUcySkhkUnFVVG5IRHNUQw.